Now they are ready to add a new activity to the list: Ride a bike in the woods. A small but dedicated group of organizations are using bikes as tools for female empowerment, and some research backs them up. A 2015 study published in The Journal of Adventure Education and Outdoor Learning found that girls showed significant gains in measures of resilience after completing a five-day mountain bike camp called Dirt Divas. One month later the benefits persisted, “even after they went back to their home environments,” says Anja Whittington, the lead author on the study. Dr. Whittington notes that other adventure sports might have produced similar results. And to be sure, such sports can be good for boys. But ask any fat-tire rider and she’ll tell you, anecdotally, the sport is a perfect fit for building women’s confidence and drive. Bicycles have a storied historical role in empowering women. “Suffragists used to say, ‘Woman is riding to suffrage on a bicycle,’” said Dr. Danielle Swiontek, a professor of women’s history at Santa Barbara City College. “This was independent transportation that allowed women to go and do what they wanted.” The requirements of riding also pushed women to reject heavy hoop skirts and restrictive corsets, playing a critical role in women’s dress reform. Today, mountain biking can help to counterbalance two of the challenges of adolescent girlhood: increasing concerns about adhering to gender and beauty ideals, and decreasing feelings of confidence. “Girls, at large, experience so much hesitancy and a normative drop in confidence over the middle school and high school years,” said Andrea Bastiani Archibald, a developmental psychologist and the chief girl and family engagement officer for Girl Scouts of the USA. 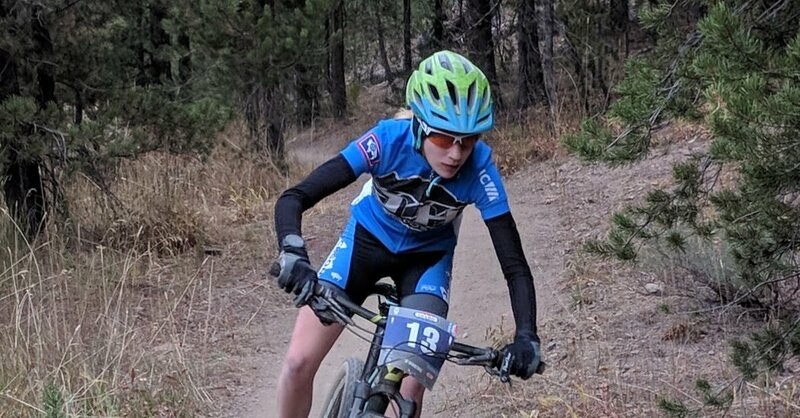 The organization has worked to counter the cratering of confidence that can occur during the teen years in part by sending girls out into the woods to do things like mountain biking. In the period where most girls are experiencing a confidence drop, “our girls actually experience a confidence boost,” says Dr. Bastiani Archibald. Kristin Borda, who is the program lead for a Little Bellas chapter in New Jersey, witnessed how concerns about what their peers might think can melt on the bike trail on her group’s first outing. “There’s a super steep dirt hill on the trails we ride,” she explained, and many of the girls were wary. But then a couple of them asked if they could try it. The first girl didn’t make it to the top of the hill. That spurred another rider to try. “Before you know it, everyone is saying ‘I want to try next.’ I mean, they’re not making it up this hill. We spent 30 minutes, and they were not making it, but they would not give up. They wanted it so badly,” she said. And no one seemed to care how they looked when, stalling out mid-climb, they tumbled over sideways. Concerns about beauty standards can likewise lift the moment a mud puddle turns a girl riding a bike into a Jackson Pollock painting. “On cold, rainy days we have mud competitions, so it takes the girls’ minds off of ‘Oh, it’s 35 degrees and raining.’ It’s kind of the opposite of gender norms for girls,” said Ms. Davison.